Stephen McKears has the best house mouse. The Gloucestershire senior couldn’t figure out how the work area in the shed appeared so tidy every morning after he left it, admittedly in a bit of a shambles, the day before. He even wondered if it was a ghost moving things around. So, he turned to a neighbour for help. Together they set up a remote camera at night hoping to identify the mysterious little maid. And, it was little indeed. The mouse, which appears to have an OCD for cleaning, was lifting some fairly heavy objects and placing them in a container. 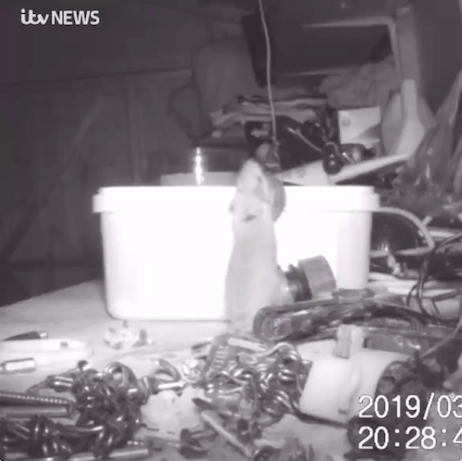 “I thought it was amazing that a little mouse could lift so much and get in there in the matter of a couple of hours,” McKears told ITV News. The mouse really did make things squeaky clean. “He’s very busy, he’s at it, first one then the next, he doesn’t give up until it’s all in there,” McKears added. 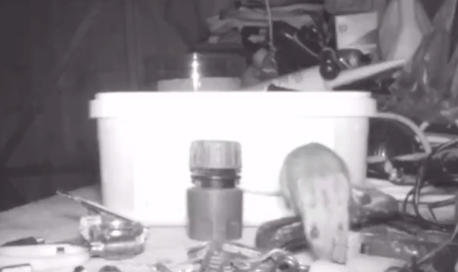 This wee mouse could really give Cinderella’s Gus and Jaq, a run for their money, as pint-sized helper extraordinaire.